The Biblical story of Jacob and Esau and the lentil soup resonates with many as a story of human weakness and trickery, where a younger brother tricks a hungry older brother into selling him his firstborn birthright for a bowl of soup. But is it that simple? 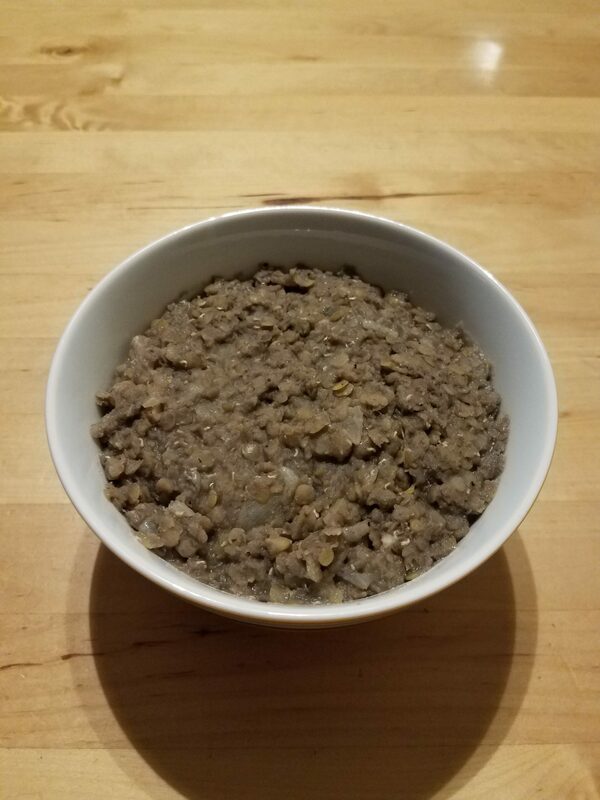 Many people have attempted to recreate the recipe of Jacob’s lentil soup, or stew, but as it turns out it’s really difficult making an authentic recipe that makes sense in the story. I believe I have finally succeeded in recreating the authentic recipe of this stew, while being able to explain the sense in the story and how this soup (not stew) fits in. As i describe my recreation, it will become obvious that there is really no futility of weakness in Esau’s behavior and Jacob really abuses the situation at hand, being the primary trickster. The soup itself is much more than just dinner, and more of a matter of life and death. And Jacob cooked soup. And Esau came from the field and was tired. And Esau said to Jacob, “Please pour me some of this red stuff, because I am tired.” Therefore his name [from then on] was called Edom (Red). And Jacob said, “Sell me your firstborn right, today!” And Esau said, “Here I am going to die, and what do I need the firstborn right for.” And Jacob said, “Swear to me, today!” And he swore to him. And he sold his firstborn right to Jacob. And Jacob gave Esau bread and lentil soup. And he ate, and he drank. And Esau forsook his firstborn right. וַיָּזֶד יַעֲקֹב, נָזִיד, וַיָּבֹא עֵשָׂו מִן-הַשָּׂדֶה, וְהוּא עָיֵף. וַיֹּאמֶר עֵשָׂו אֶל-יַעֲקֹב, הַלְעִיטֵנִי נָא מִן-הָאָדֹם הָאָדֹם הַזֶּה כִּי עָיֵף, אָנֹכִי, עַל-כֵּן קָרָא-שְׁמוֹ, אֱדוֹם. וַיֹּאמֶר, יַעֲקֹב: מִכְרָה כַיּוֹם אֶת-בְּכֹרָתְךָ, לִי. וַיֹּאמֶר עֵשָׂו, הִנֵּה אָנֹכִי הוֹלֵךְ לָמוּת, וְלָמָּה זֶּה לִי, בְּכֹרָה. וַיֹּאמֶר יַעֲקֹב, הִשָּׁבְעָה לִּי כַּיּוֹם, וַיִּשָּׁבַע, לוֹ, וַיִּמְכֹּר אֶת-בְּכֹרָתוֹ, לְיַעֲקֹב. וְיַעֲקֹב נָתַן לְעֵשָׂו, לֶחֶם וּנְזִיד עֲדָשִׁים, וַיֹּאכַל וַיֵּשְׁתְּ, וַיָּקָם וַיֵּלַךְ, וַיִּבֶז עֵשָׂו, אֶת-הַבְּכֹרָה. There are a few big questions in this story. What was so special about this soup that Esau decided to sell his firstborn right for it? Why did Esau call it האדום האדום הזה, This Red Stuff? Why did Esau think he was going to die? Why did Jacob emphasize twice that Esau must sell his firstborn right to him TODAY, and not later? 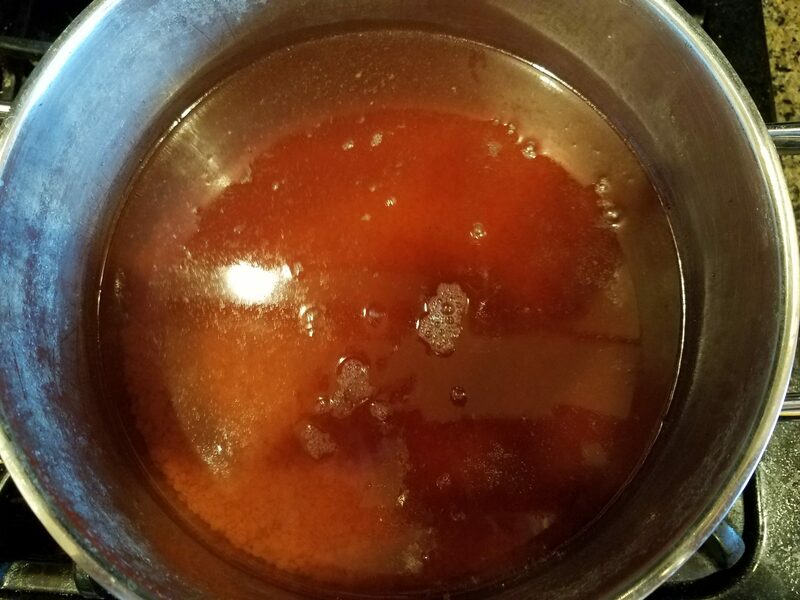 In order to solve this mystery, I have made a few different attempts to cook a red lentil stew or soup and see what it looks like. The problem is that no matter what variety of red lentils you use and how you cook them, the soup or stew will not be red. 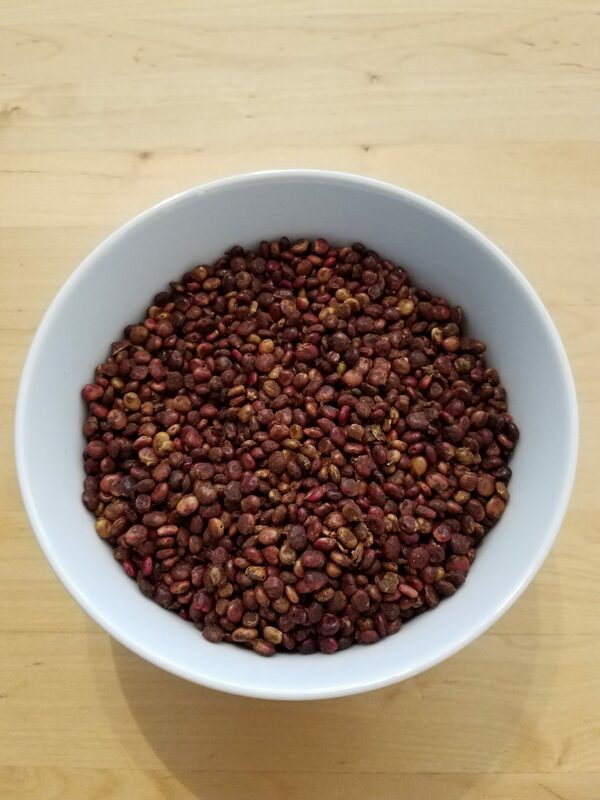 Once the lentils soften and become cooked, they lose their red color and become grayish brown, which in no way can be called red. many people have attempted to explain this issue away by saying that in the ancient world people called various colors “red” even if they were not properly red, like brown. However, I feel that this is an unnecessary cop-out. Raw Red Lentils Cooked Red Lentils. Notice they are clearly not red anymore, but rather grayish brown. I would like to propose that Esau was not merely tired from his hunt or work in the field. He was sick. Most probably he had a case of the flu with upper respiratory problems and diarrhea. For this reason, he thought that unless he gets some kind of a cure for it quickly he would die, as many people did in the ancient world. For this reason, he said that unless he gets this soup TODAY and NOW he would not even need the firstborn right, because he would be dead. The firstborn right would give him double inheritance of all of his father’s property and the right to lead the clan. If he was dead, then this right would pass to his younger brother Jacob. Esau was faced with a dilemma. Does he leave his flu to natural causes, and possibly die and lose the firstborn right anyway. Or does he sell his firstborn right to his brother in exchange for a cure, which in his mind would make him probably live. Esau chose the latter. Jacob, knew exactly what Esau was thinking and he abused the situation. He demanded that the only way he would give his brother a cure is if he sold him his firstborn right TODAY. It had to be that same day, while Esau was still sick. If Jacob would have waited a few more days then the cold might have abated on its own and then Esau would refuse the deal. So Jacob insisted that the sale had to be done right then and there, while Esau is still sick. But what was special about the lentil soup that Esau thought it would cure his cold? And how did it work out that Jacob simply happened to be making it when Esau was sick? In both Aramaic Targums (Aramaic translations of the Bible), Onkelos and Pseudo-Jonathan, which roughly date to the 1st century CE, the word אדום (Adom), meaning “red”, is translated as סומקא (Sumaka). Even though, the word Sumaka in Aramaic means “red”, it is not just a regular translation. It also happens to be the Aramaic name of a local Mediterranean plant call Sumac. The name Sumac came into English from Arabic, in which it is called سمّاق (Sumac). However, in Syriac, which is a Syrian Christian dialect of Aramaic, still spoken today, the plant is called ܣܘܼܡܵܩܵܐ‎ (Sumaqa), exactly as both Targums translate the word Adom. I have concluded from this that the reason Esau called this soup “This Red Stuff” is not because its color was red, but because the key ingredient of importance in it were Sumac berries, which served the exact medicinal purpose that Esau needed to be cured from his cold. The word נזיד (Nezid), which is usually translated as stew, does not mean that. It simply means “a dish cooked in liquid”, which can be stew or soup. As I will point out, it is specifically soup that Jacob was cooking, not stew. Lentil soup (not stew), by itself, without sumac or meat, has been known in the Middle East for millennia as a remedy for colds and upper respiratory problems. It is mentioned in cuneiform tablets, quoted in a book called, The Assyrian Herbal, by R. Campbell Thompson, which deals with Akkadian cuneiform texts of plant based medicines. In Akkadian, lentil soup was called Mei Ushshe – Lentils Cooked in Liquid. 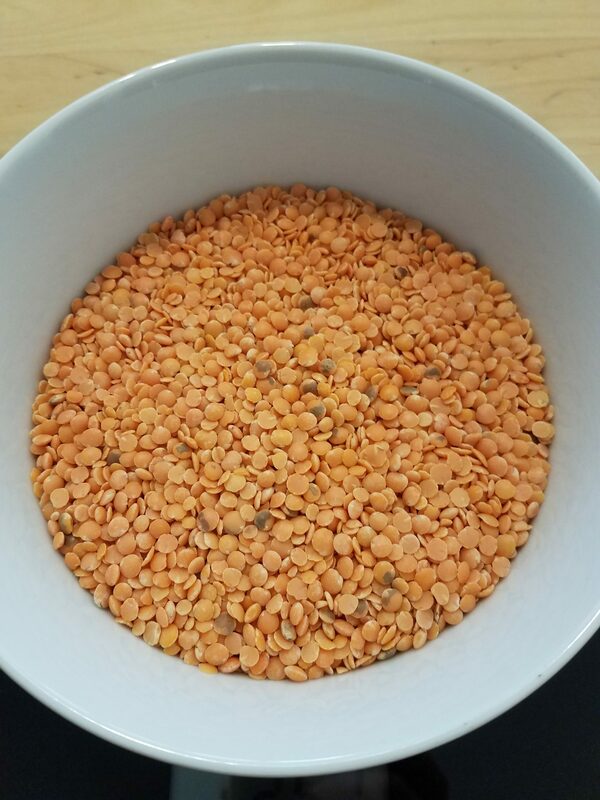 The Assyrians called lentils as “the vegetable of the lungs”, from which historians have deduced that it was used as a remedy for colds. In an 10th century CE Arabic cookbook, by Al Warraq, he specifically says (chapter 22) that lentils dishes are good for ailments of the chest and help expel phlegm. The lentil soup in Arabic is called Adasiyya, similar to Hebrew, נזיד עדשים (Nezid Adashim), “lentils cooked in liquid”, which is a direct translation of the Akkadian name, Mei Ushshe. Sumac is mentioned many times in Al Warraq’s cookbook (chapters 68, 105, 106) as well, and he specifically says that it is a remedy for diarrhea and helps control bowel movements. Other Arabic writers (Ibn al-Baytar 390, and al-Razi 32) say the same thing. It is clear from the ingredients of the soup, lentils and sumac, that Esau was suffering from respiratory problems and diarrhea, both of which together are symptoms of the flu. When Esau went out into the field to work, he was already sick. He probably asked Jacob to make a cure for him by the time he would be back. For this reason, Jacob knowing what was wrong with his brother, was preparing for him the lentil and sumac soup. However, when Esau came back, Jacob black mailed him. He told him that the only way he would give him the remedy for his disease is if he gives him the firstborn right in exchange. Esau, not seeing the choice in the matter due to his life or death situation, as he perceived it, agreed. Once, Esau got better, he did not try to fight Jacob for ripping him off, he simply forsook the firstborn right and let Jacob have it. And Esau said, “I have much, my brother. You may keep what is yours.” And Jacob said, … “Please take my blessing which I have brought you, because God was merciful to me, and because I have everything.” And he urged him. And he took it. וַיֹּאמֶר עֵשָׂו, יֶשׁ-לִי רָב, אָחִי, יְהִי לְךָ אֲשֶׁר-לָךְ. וַיֹּאמֶר יַעֲקֹב, … קַח-נָא אֶת-בִּרְכָתִי אֲשֶׁר הֻבָאת לָךְ, כִּי-חַנַּנִי אֱלֹהִים וְכִי יֶשׁ-לִי-כֹל, וַיִּפְצַר בּוֹ, וַיִּקָּח. 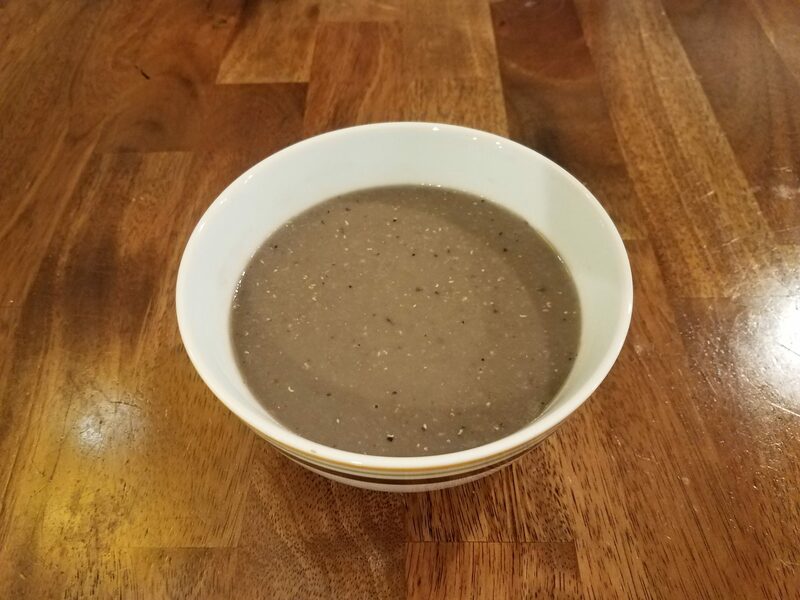 I have recreated the recipe for Jacob’s lentil sumac soup by combining two recipes from Al Warraq’s cookbook. The first recipe is for Adasiyya, lentil soup. The second recipe is for Summaqiyya, sumac stew. The sumac berries water was prepared according to Al Warraq’s instructions. Nasrallah, Nawal. Delights from the Garden of Eden: A Cookbook and a History of the Iraqi Cuisine. Equinox Publishing, 2013. pp. 45, 148-149. Nasrallah, Nawal. Annals of the Caliphs’ Kitchens: Ibn Sayyar Al-Warraq’s Tenth-Century Baghdadi Cookbook. Brill, 2007. pp. 47, 299-300, 437, 440-441, 447, 558. Thompson, R. Campbell. “The Assyrian Herbal.” London, Luzac and co., 1924. Thompson, R. Campbell. “Dictionary of Assyrian Botany.” British Academy, 1949. p. 92.
al-Razi, Abu Bakr Muhammad bin Zakariyya (d. 923). Manafi al-Aghdhiya wa Daf Maadarriha (Book of the Benefits of Food, and Remedies against Its Harmful Effects). Beirut: Dar Ihya al-Ulum, 1982. ابوبكر محمّد زکرياى رازى‎, منافي الأغذية و دف مادريها. Chapter 32. Ibn al-Baytar (d. 1248). Al-Jami li Mufradat al-Adwiya wa al-Aghdhiya (Compendium on Simple Medicaments and Foods). ابن البيطار, كتاب الجامع لمفردات الأدوية والأغذية. Chapter 390. Jacob's Red Lentil and Sumac Soup, prepared according to Al Warraq's 10th century instructions of preparing Sumac berries. Heat up all 12 cups of water in a large pot. Do not fully boil. The temperature of the water should reach about 150 degrees F (65 degrees C), but not more than that. Remove the pot from the fire. 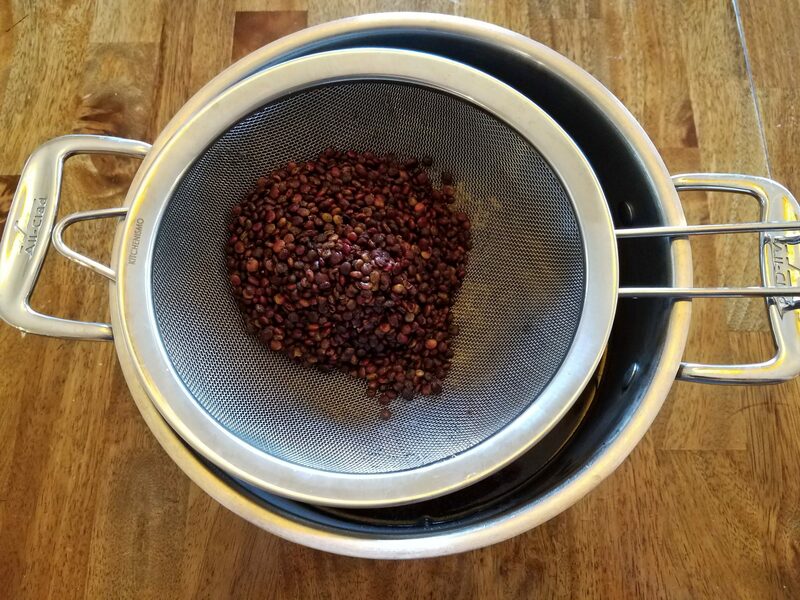 Pour the water into a bowl and add all of the sumac berries into it. Mix the berries so all of them get submerged under water. Let the berries soak in the water for at least 30 minutes. 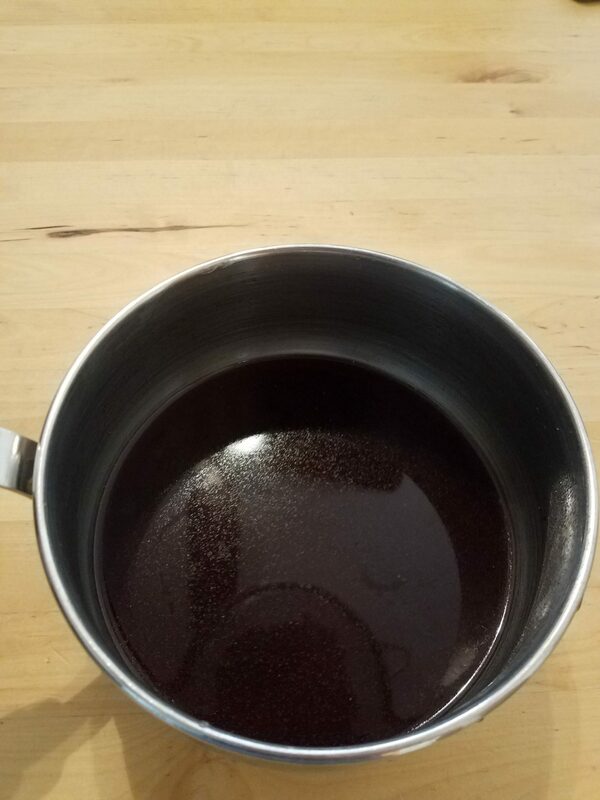 This will color the water red and absorb the tart flavor of the sumac into the water. While the sumac is soaking, chop the onion into small pieces and saute it in a frying pan with olive oil until the onions become golden brown, for at least 15 minutes, while constantly stirring the onions. 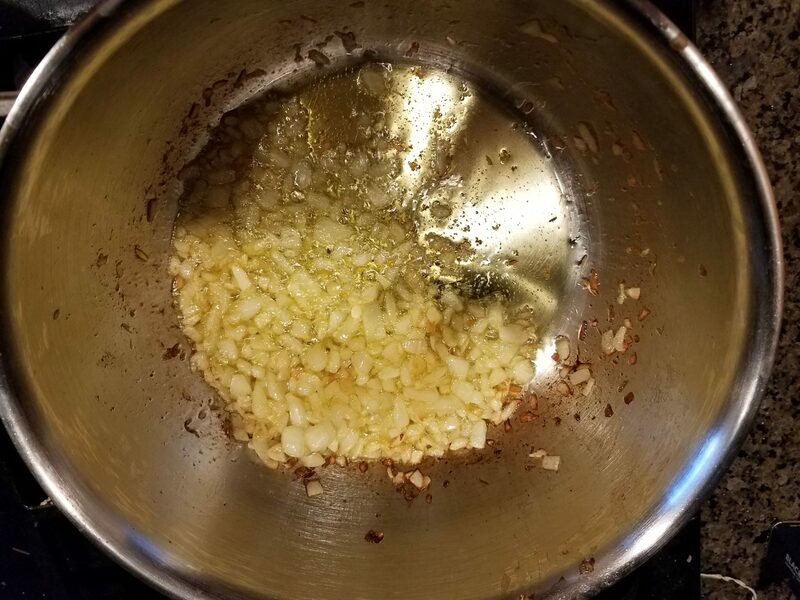 If there is too much olive oil left in the pan when onions are done, drain it out of the pan. Strain the berries out of the water by pouring it over a strainer, back into the pot where the water was heated up. Strain the water twice, to make sure that all the berries have been removed. If there is some sumac sediment residue left in the water, it is ok, and it does not need to be removed. The sumac berries can be thrown away, as they will not be used anymore. Add all of the lentils to the water and bring to a boil. Make sure the pot is covered with the lid to make everything boil faster. Simmer the soup for 30 minutes. Stir the pot every 5 minutes. While the pot is not being stirred keep the lid on. After the soup has simmered for 30 minutes, taste the lentils to make sure they are fully cooked. Add all of the sauteed onions, salt, pepper, and coriander to the soup. Mix it well and taste. If needed adjust the amount of the seasoning. Cook the soup for another 30 minutes with the lid off to boil off excess water, while mixing the soup every 5 minutes. Pour all of the soup into a blender or food processor and run it for about 30 seconds until the soup is completely smooth. Serve. The taste of the soup will be a little spicy due to the spices and sour due to the sumac berries. Thanks Jennifer. Let me know if you end up making it. Interesting proposal. Perhaps this could also explain why Esau says red twice (lit. “This red red”) referring to red lentils and red sumac berries. Hey Buddy!, I found this information for you: "Jacob’s Red Lentil Soup – Addasiyah Sumakiyah, סומקיא עדשים". Here is the website link: http://www.ancientrecipes.org/recipes/jacobs-red-lentil-soup-addasiyah-sumakiyah/. Thank you.